for your event on high performance leadership, networking and building connections that matter and future proofing through collaboration. Unleash the brilliance in your teams and organisation for today and for tomorrow. 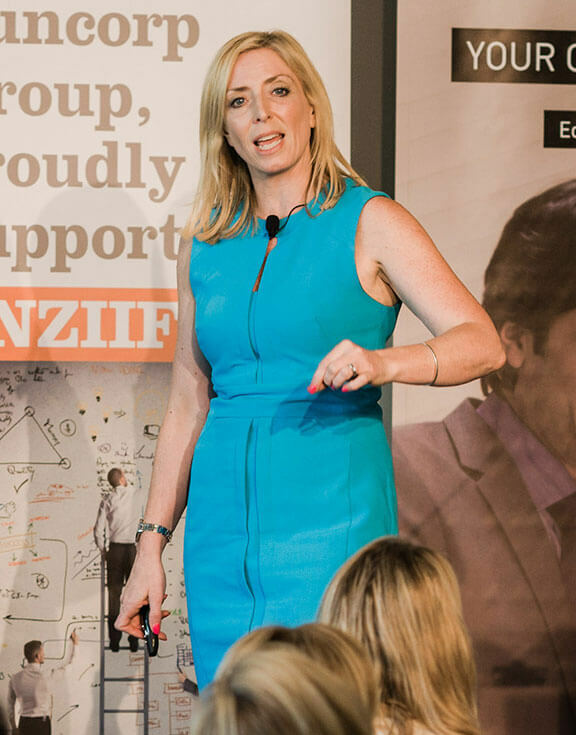 I’m regularly booked to deliver keynote presentations for global conferences, organisation initiatives and senior leadership development programs. Four of my most popular keynotes are listed below, but I always happily develop each and every keynote according to your specific needs and objectives. All keynote packages include pre-event planning, phone calls and research. If you really want to connect to your audience then I can organise bulk-purchase copies of my books, customised covers and even special CEO messages printed within the book. Together we can make your event really achieve your objectives. One that matters. One that is remembered. ‘Leadership is the challenge to be something more than average’, says motivational speaker Jim Rohn. The rate of technological change and the ‘volatile stability’ of today’s global business environment means that great leaders cannot afford to stand still or sit back and rest on past successes. In fact we need to develop new skills to lead in the uncertain and busy world of today as well as prepare for the unknown tomorrow. If you’re a leader of today or tomorrow then you need to understand your own path and purpose. Why are you leading? What do you want to succeed at? Who are you really being? What do you want to be remembered for? What is it that you are actually doing? You need to be agile and adaptive, innovate and ideate yourself, you need to think and collaborate, you need to lead yourself effectively to lead, inspire and motivate others. You must positively impact your customers, your team and your bottom line. Become a leader worth following, build influence and impact and drive change. This keynote will inspire and motivate your team and organisation into embracing a new style of leadership. The audience will leave inspired to take control and ownership for the part they have to play in driving change and success for themselves and the organisation they are part of, now and into the future. Networking is an essential skill; it's the skill to success for you, your team, your business, your clients. So why are so many of our connections superficial and transactional? And why do they get us nowhere in our personal and professional life? Has the technology that was supposed to connect us, made us more disconnected than ever! Maybe we've lost sight of the fact that it's not about the quantity of connections we make, but the quality of the relationships we build and nurture. explain why building relationships that matter is critical to success. The days of lifetime corporate employment are long gone. The business landscape in which we are all operating is changing at an incredibly fast pace. The future of work, of what we are doing and how, is ever evolving. The result? The organisations in which we are having to ideate and innovate, manage and lead, think and deliver, are becoming increasingly complex. Here's the real challenge - that 'Me' space we lived in for so long isn't enough anymore. To succeed on a long-term sustainable basis, we need to engage and innovate, to work together, to make things happen. We cannot move quick enough alone. We must move quickly together, as a collective intelligence. Together, we work faster and smarter. This new collaborative way of working is key. Moving from ME to WE is essential for ideation, creation, innovation and influence. You will leave this keynote feeling more than just motivated and convinced you need to work together. You will leave with an understanding of how to influence more, collaborate better, drive impact and be relevant to your future. Sure the workplace is changing, but it is still not a place of equality. Unless we collaborate and work together, unless we break down current barriers to diversity, the lack of female leaders now will drastically affect the pipeline of female leadership for tomorrow. There will be no funnelling of talent, no mentoring or active sponsoring of younger women- because the senior female leaders simply won't be there to see these things put in place. The increasing influence of women is challenging us all to adapt and realign ourselves to the needs of a new society. Engaging women in the workplace, especially at leadership level, is an essential part of the new collaborative economy. In this impactful and inciteful keynote, I will challenge your audience, your female leaders and rising stars to do more. I will share how we are all responsible for change today and tomorrow; how we can change ourselves and the next generation to come; how we can change the world now and together create a more balanced world.